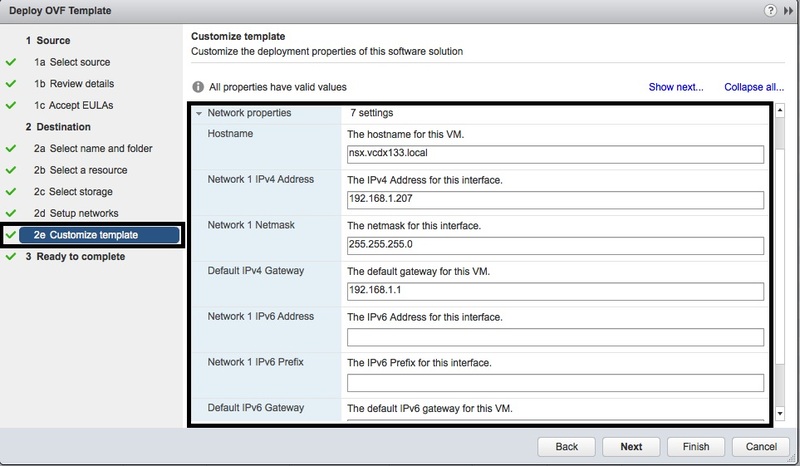 This is part 1 of the NSX Manager Installation guide, describing the deployment of the NSX Manager version 6.0.4 OVA file. Download the Binaries for NSX Manager 6.0.4 (“VMware-NSX-Manager-6.0.4-1752381.ova”) and the upgrade bundle for NSX Manager 6.1.0 (“VMware-NSX-Manager-upgrade-bundle-6.1.0-2107742.tar.gz” – make sure you rename this file to include the “.tar.gz”). 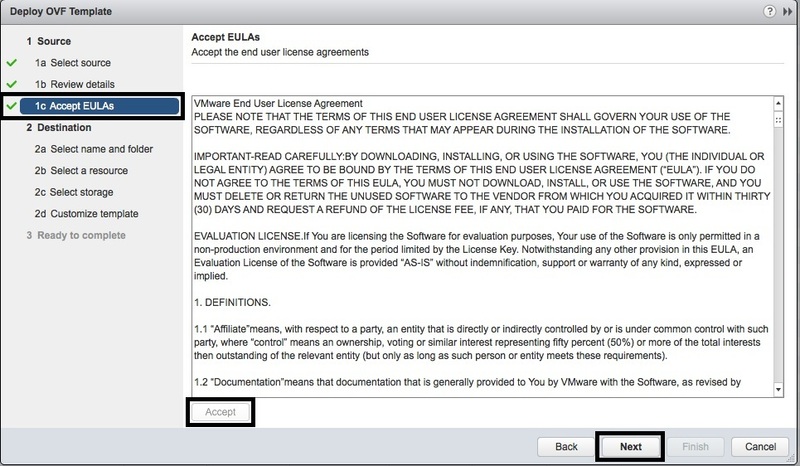 These binaries are not publicly available for evaluation at this time, contact your VMware Account manager. 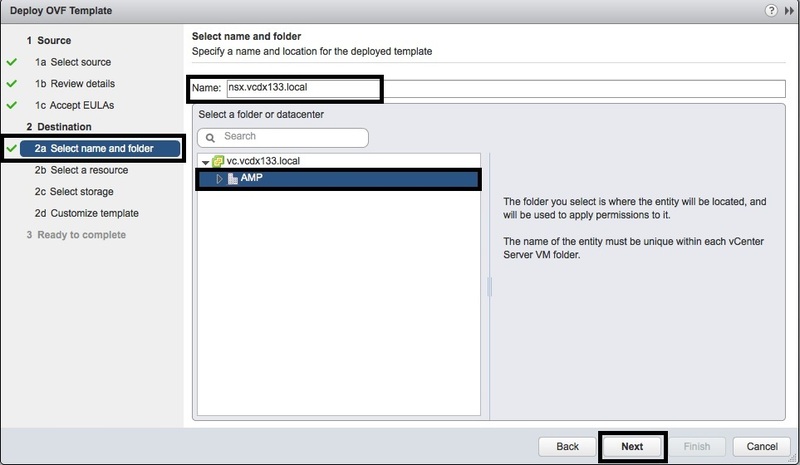 Copy the OVA and zip files to a folder that is accessible from the vSphere Web Client. Source the associated licence keys for the downloaded software, which is normally provided if you register and download the evaluation versions of the software above. You know what you are doing and have the ability to make changes to vCenter, Active Directory, DNS, etc. (directly or indirectly). 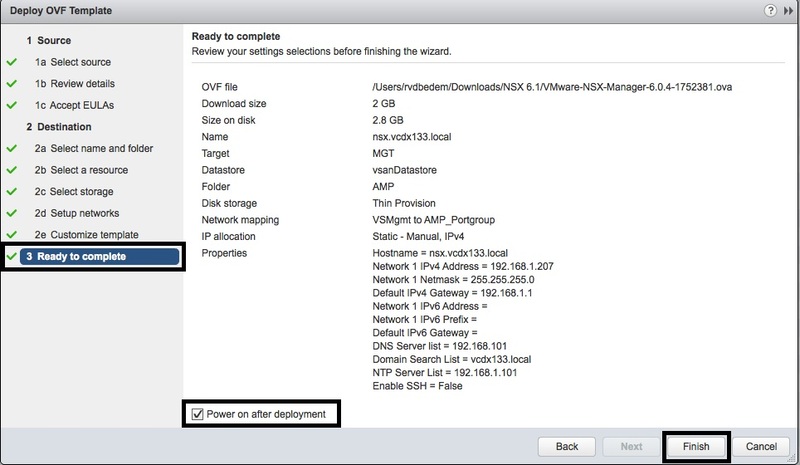 You have a fully functioning vSphere environment that has resources for NSX Manager. 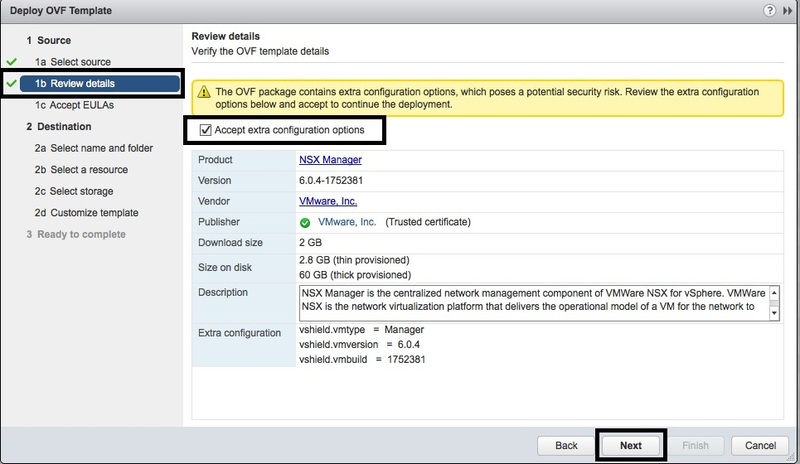 You are interested in the upgrade process (6.0.4 to 6.1.0), otherwise download and deploy the NSX Manager 6.1.0 OVA file. You are building this configuration for a lab environment and are content to use the “minimum” configuration methodology described here. 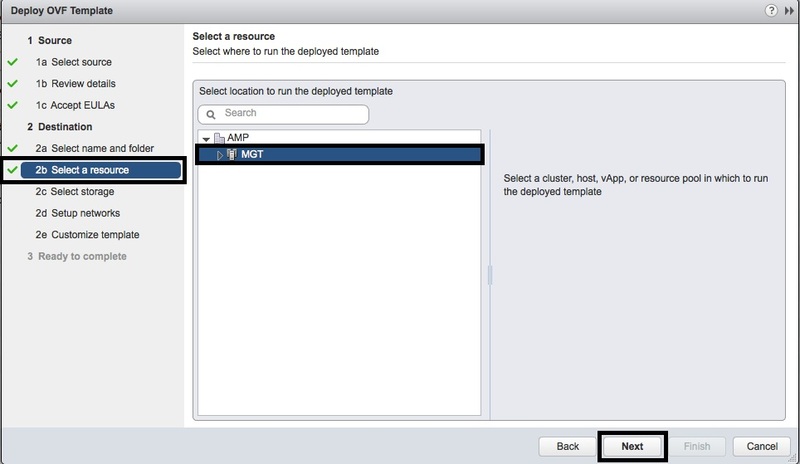 Select “Deploy OVF Template” from the vSphere Web Client. 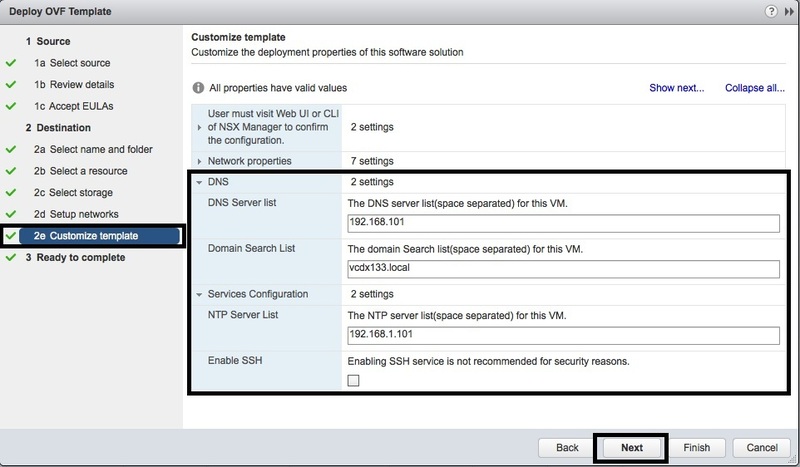 In the “1a Select Source” window, select “Browse”, locate the “VMware-NSX-Manager-6.0.4-1752381.ova” file and press “Next”. In the “1b Review Details” window, select the “Accept extra configuration options” and then press “Next”. In the “1c Accept EULAs” window, press the “Accept” button and then press “Next”. 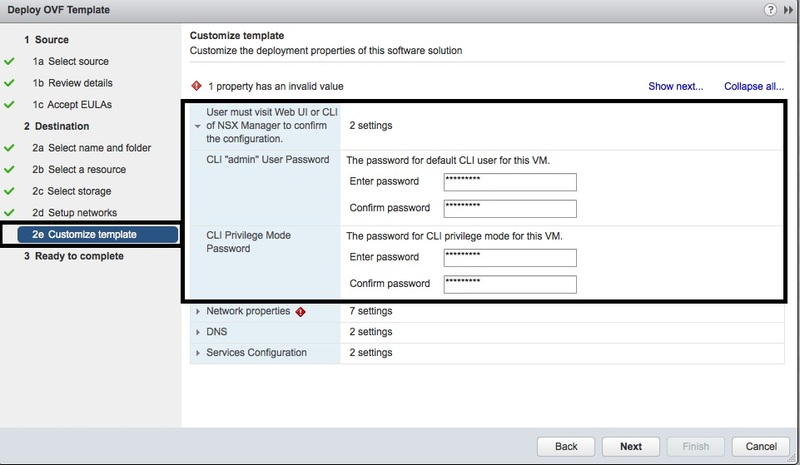 In the “2a Select name and folder” window, enter the name of the NSX Manager in the “Name” field and select the “Datacenter” to deploy the virtual appliance. Then press “Next”. 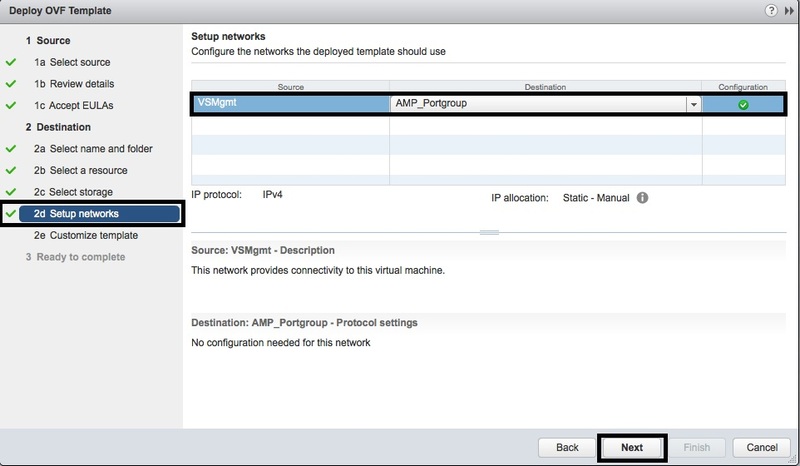 In the “2b Select a resource” window, select the “Resource” to run the NSX Manager virtual appliance. Then press “Next”. 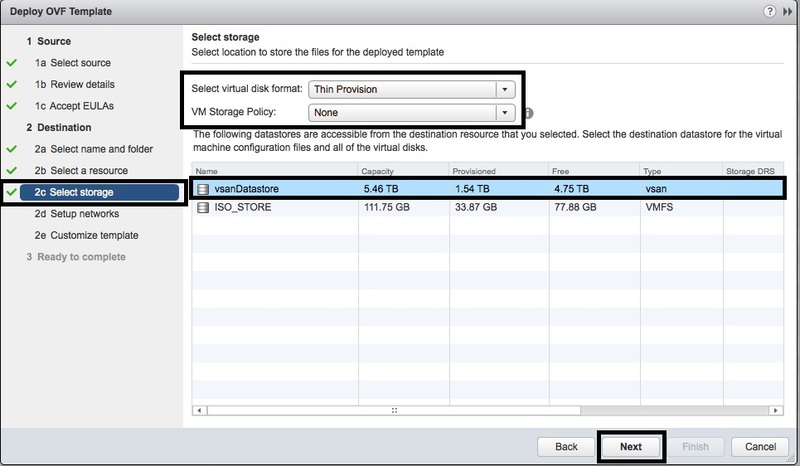 In the “2c Select storage” window, select the “VM Storage Policy” and the “Destination Datastore” for the NSX Manager virtual appliance. Then press “Next”. In the “2d Setup networks” window, select the Network Portgroup and then press “Next”. In the “2e Customise template” window, enter the “CLI Admin User” and “CLI Privilege Mode” passwords and then expand the “Network properties” object. In the “2e Customise template” window, enter the “Hostname”, “Network 1 IPv4 Address”, “Network1 Netmask” and “Default IPv4 Gateway” and then expand the “DNS” object. IPv6 settings are deliberately skipped since it is a lab environment. In the “2e Customise template” window, enter the “DNS Server list”, “Domain Search list” and then expand the “Services Configuration” object. In the “2e Customise template” window, enter the “NTP Server list” and then press the “Next” button. You could “Enable SSH” for lab experimentation. In the “Ready to complete” window, review the configuration, select “Power on after deployment” and then press “Finish”. 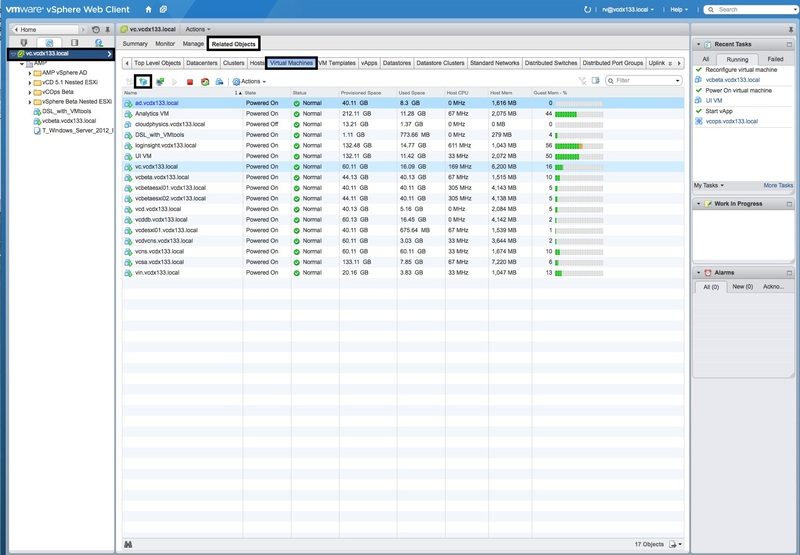 After the NSX Manager OVA file has deployed, vCenter Server will power it on. You are now ready to begin the upgrade with Part 2.